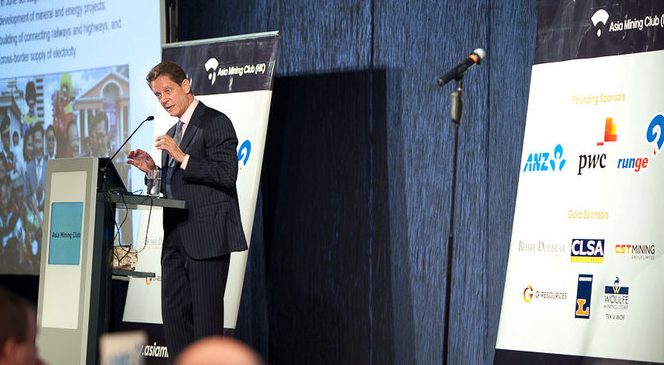 Well-known international financier Robert Friedland is in the vanguard of leaders in the global mining and energy sectors who have pioneered business links throughout Asia and the Asia Pacific region during the past 20 years. He is Chief Executive Officer of Ivanhoe Mines, which he founded in 1994, launched through a highly successful initial public offering in 1996 and then served as Chairman of the company’s Board of Directors, and later as Executive Chairman, for 15 years. Today, Ivanhoe Mines is a Canadian public company whose shares trade on the New York, NASDAQ and Toronto exchanges. The company’s core asset is its 66% ownership of the Oyu Tolgoi Project now under construction in southern Mongolia and scheduled to begin commercial production of copper, gold and silver from the first phase of development in 2013. A 12-kilometre-long (7.5-mile) chain of deposits discovered by Ivanhoe Mines during the past decade already has independently verified resources to eventually establish Oyu Tolgoi as one of the world’s top three copper-gold producers. International miner Rio Tinto presently owns 46.5% of Ivanhoe Mines.